This is another story of partners who don�t trust each other. Austin Lloyd and Dwight Garrett are partners in a reliability testing firm. But Garrett wants out when he learns that Lloyd is swindling a large aerospace company. Faced with the dissolution of the partnership and knowing that his wife Bonnie is in love with Garrett, Lloyd plans to fake a poisoning attempt on his life, making it look as though Garrett and Bonnie tried to kill him so they could run away to Mexico. But Lloyd really does die. Perry is convinced that Garrett is innocent. This is the only episode with co-defendants. jfh 13Mar2017. + Actually, no: (what is believed to be) the very first episode - TCOT Motheaten Mink - featured them as well. Commented by Notcom, 031417. ++ Also, to correct my initial statement: In The Case Of The Sausalito Sunrise Perry represents another set of co-defendants. jfh 30Mar2017. In the office, after the first scene in court, Perry reveals some poetic depth and doth quote �I am a little world made cunningly of elements.� This is from Holy Sonnet V by John Donne. Submitted by Steve Fox, 12/22/2004. Location: About 19 minutes in, there is a quick shot of Los Angeles International Airport with a glimpse of the Googie styled �Theme Building.� It looks like a space-aged bug or flying saucer on legs. I have read it was the inspiration for buildings in the cartoon The Jetsons. I have eaten at the cool eatery at the top called the Encounter Restaurant. Also appears in episode #198. Submitted by Eric Cooper, 10 June 10. Some pictures here. The man trying to cash the check in the grocery store is Billy Halop, who died fairly young. His alcoholism stalled his career, and when he died he had already left acting for nursing. Perhaps he is best known as the recurring cabdriver on All in the Family. Submitted by gracenote, 2/2/2011. Sightings: At the supermarket, �Miss Carmody� is in the aisle behind Austin Lloyd�s, checking out her groceries with a a large handbag and a smile and a few nods. After an incident in the store, she is rather perturbed and talks rather excitedly to the clerk. Submitted by gracenote, 2/2/2011. + During the hearing, the Pencil Mustache Man lurks among the other spectators, but is never quite clearly shown. Submitted by gracenote, 2/2/2011. See below for uncredited actors (with names) also seated in the gallery. There is a "Sergeant Parnell, special agent", but we only see the back of his head. Added by BobwloCB, 1/2/2015. Uncredited Actors: Bert Stevens is the ma�tre d�h�tel at the restaurant where Garrett and Mrs. Lloyd meet. We also see a great deal of Stevens in the courtroom gallery (he�s in several cutaways). Another who appears without billing in the gallery is the prolific character actor Joseph Crehan, whom we don�t yet have on our Uncredited Actors page. Submitted by gracenote, 2/2/2011. + Stevens also appears as a customer at the bank where Mrs. Lloyd cashes a check. And character actor Ralph Brooks, although he never speaks, plays Burger�s co-counsel at the hearing. Submitted by gracenote, 7/28/2011. As the sign reads on the cash register at the supermarket, Telecredit provides the electronic check approval. This was a real L.A. company, incorporated in 1961. Equifax bought it out, and now the check approval is done by Certegy. Submitted by gracenote, 7/28/2011. + Indeed, Telecredit consumer check verification was founded by Ronald Katz in 1961. Mr. Katz is the son of late musician and comedian Mickey Katz, brother of Academy Award winning actor Joel Grey, and uncle to actress and Dirty Dancing star Jennifer Grey. Submitted by Mason Jar 9/15/2011. Typing: At time 5:41 into the DVD of this episode, Austin Lloyd�s secretary Terry Clover (played by Elaine Devry) is seated at her desk typing. But after the salutation of the letter, when you look under the typewriter bail, you see she is just typing �asdfghjkl;asdfghjkl;asdfghjkl;� over and over. See picture here. Submitted by Charles Richmond, 11/23/2011. + I wish that this shot was in the broadcast rerun that I've seen! According to the later courtroom testimony, her typewriter should be the white (or very light-coloured) Selectric. The broadcast rerun does have a scene in Dwight's restricted-access office that shows the dark-coloured Selectric (in accordance with the later evidence). "DIMOS" (pronounced DEE-MOSS) is the "10-year long range space project" that the companies are competing for. Roscoe tells Perry that DIMOS stands for "Delta Interplanetary Manned Orbital Satellite". The acronym can also be seen later on the project binder held by Ned in Perry's office. Added by Gary Woloski, 12/23/12. + It could also be a clever play on the word "Deimos," which is one of the moons of Mars. Submitted by 65tosspowertrap, 10/21/2013. (a) When Austin Lloyd goes to the liquor/deli mart, the Right-Rear side of a parked car is visible through the "OUT" door: watch while the cops nab the check-bouncing Man at 05:24. What you see is almost certainly this, part of a light-color 1963 Mercury Meteor Custom. (b) A 1957 Plymouth Savoy 4-Door Sedan approaches the LA airport �Theme Building� at 18:47. The episode car's 2-tone paint looks the same as that on the car in the linked image. Identify make & year by the distinctive fin/taillight combination; sharper images here & here. It appears that Car (b) doesn't have the new '63-issue black-plate. Exactly the same shot opens the next episode and it's clear there that the car still has the old plate. Added by Gary Woloski, 9/21/13. The changeable ball was a key feature of the legendary IBM Selectric Typewriter. It may have been new to people during this time so the element aspect may not be common knowledge. They were never cheap. You can even see the IBM logo during the court scene. Submitted by Perry Baby 7/29/16. Wheels within Wheels: After watching this episode, I began to ask myself "Why do so many plot elements in Perry Mason stories seem to repeat themselves?". One reason is Erle Stanley Gardner's use of "plot wheels" as discussed in blog.karenwoodward.org/2013/10/nanowrimo-erle-stanley-gardner-perry-mason-plot-wheels.html. At one time Gardner used 4 such wheels to help him in plotting and to make it less likely that he would repeat himself too often. The wheels used by Gardner each had about 16 choices on each one, which were turned at random in advance of writing, resulting in 65,536 possible plots. The weakness in this was that with only 16 choices for each wheel - which variously represented Red Herrings, Complications, Obstacles and Solutions - one of the sixteen parameters of each wheel would recur in each story, only in 64K different combinations. To get down to cases, take this episode, show #177. Although not credited to Gardner, he did have a strong influence on the selection and adaptation of scripts. On his plot wheel number 4 ("Solutions") parameter #6 is "villain hoist by own petard", and parameter #7 is "villain killed while trying to frame someone". Which is exactly the solution to this episode's mystery. Hooray, it�s the second Space Age story in a row (Aerospace Reliability Associates is the firm), and yet somewhat noir-ish, especially with Bogie-wannabe Gerald Mohr in a major role. Macready gives the whole thing some gravitas, but I would have liked to have seen more of him. Submitted by gracenote, 2/2/2011. I have to add that I just love the technology in this episode, especially the electronic check verification. Submitted by gracenote, 2/2/2011. + The enlargements that Burger later presents in court indicate that the checks were also perforated to thwart alteration, a form of check protection technology dating from the 1800s. 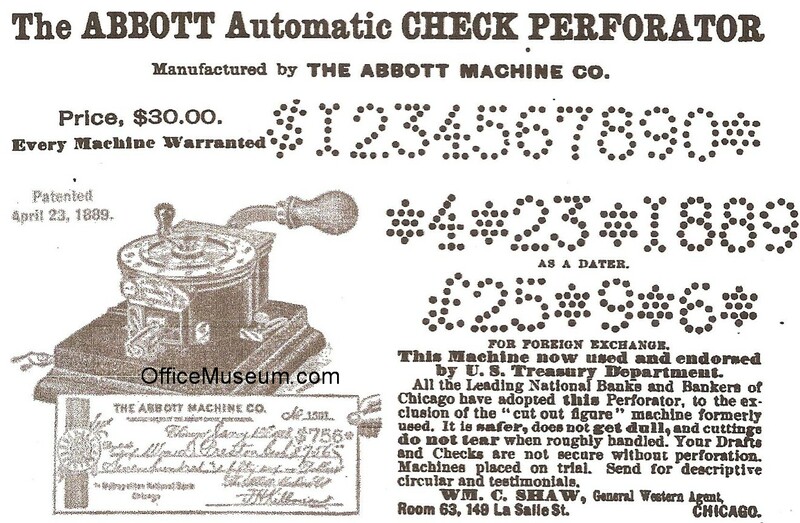 A dot-matrix �3� and other perforated characters can be seen - somewhat like this , made by the Abbott Automatic Check Protector, patented 1889. More antique �physical check protection� here. Added by Gary Woloski, 11/30/11. For the umpteenth time this season, Ray Collins gets credit for playing Tragg, but does not actually appear. Submitted by gracenote, 2/2/2011. The opening shot is of the California Spruce Medical Building at 500 Spruce Street in San Francisco (see for example Google maps), but the shot continues on to the sign for Aerospace Reliability Associates, which is at 653 N. Sixth Street in Los Angeles (per the �asdfgh�� letter that Miss Clover is typing). Submitted by masonite, 12/01/2011. 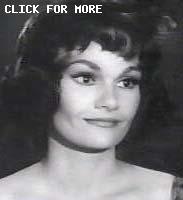 Oh, that Gloria Talbott ... those eyes!! Submitted by MikeReese, 12/13/2013. Elementary? : Perry learned, at 23:25 on the 2011 Paramount DVD, that it was very quick and easy to switch typewriter elements so as to get a different character set. Also present were Terry Clover and Roscoe Pearce. Why, then, did the later preliminary hearing need to take 9+ minutes of episode time trying to "prove" which typewriter did which typing? Perry could have easily shown early on that Hamilton was actually proving nothing. Further, given that the DA's office and LAPD were also using typewriters, someone in either office also surely knew about the ridiculousness of the point that Hamilton was trying to prove. Scriptwriter Samuel Newman had a clever gimmick with the electronic check approval, then seemed to me to overly pad his script with the typing nonsense. Luckily for Dwight Garrett, Bonnie Lloyd liked his type. lowercase masonite, 3/4/16. + "I am a little world made cunningly of elements," Perry says, quoting John Donne's "Holy Sonnets." Mike Bedard 7.9.16. The Telecredit reports shown when Bonnie Lloyd is buying the airline tickets and when she is buying the radio are identical. The report lists several names but not hers. The last name typed, Harry Paxtin, appears to have a fraudulent license. Submitted by Kilo 8/19/2018. The Typewriter Evidence. With Lt Anderson on the stand, Burger presents enlarged specimens of legitimate and bogus Project Reports and cheques to show on which of two typewriters they were produced. The typewriters, also in court, are IBM Selectrics (electric typewriters introduced 1961). 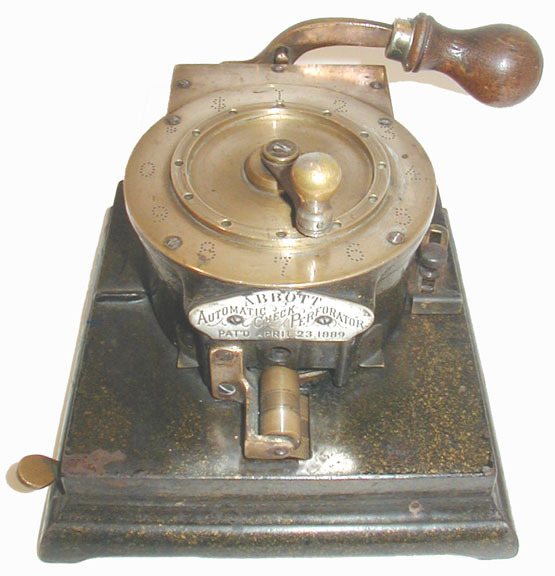 The Selectric was then unique in having a fixed carriage (paper holder) and a laterally moving printing element (a rotating �type ball�). Read about the Selectric here. How it works here (3:05 video). Selectric Museum here (In the top image at this link, the larger, square-shaped machines in the pile are mostly Selectric IIs [intro 1971]; one blue Selectric III [intro 1980] is at bottom right). Burger and Anderson remain totally unaware of the innovative features of the Selectric until midway through Perry�s cross-examination of Anderson. Until that point, everyone in the courtroom but Perry thinks that Selectrics are just run-of-the-mill typewriters. I'm sure I heard the motor start to whir when Lt Anderson initially touched the first machine. I think that there must have been a microphone specially placed to capture this sound. Well Done! When Lt. Anderson types his comparison texts at Perry�s urging, you can see that the carriage is stationary and, if you watch very closely, you may catch a glimpse of the type ball moving across the page. The IBM logo plate on the top deck is well shown several times. When Perry quickly and expertly demonstrates how to exchange the elements, Anderson and Burger are confounded and struck speechless. The typeface in the courtroom enlargements appears to be �Adjutant� (this shows a generic Adjutant font). Some ID points: prominent serifs, the numeral for �three,� shallow �v� in the capital �M.� A sample of the genuine IBM Selectric Adjutant is here. The passage in the original �DIMOS� Reliability Report presented by Burger reads �therefore, the trade off analysis juxtaposing size, weight, and strength clearly indicates MIL - Q - 34D2b will be required for the structural frame of the payload package.� In the bogus substitute report, the "b" in the MIL-Q designator has been replaced with a "c". A "MIL-Q" would have been a Department of Defense Quality Standard. If you have an old Selectric in the basement, you may wish to check out the Yahoo Golf ball typewriter shop. With assistance from David Sadowski, Yahoo! Typewriter Group. Added by Gary Woloski, 11/28/11.